These kits are perfect for those who have always wanted to try straight razor/ traditional wet shaving but were not certain of where to start. Each kit includes a Shave Ready straight edge finished on a 20K grit stone (smooth as glass) and a strop to maintain this edge. 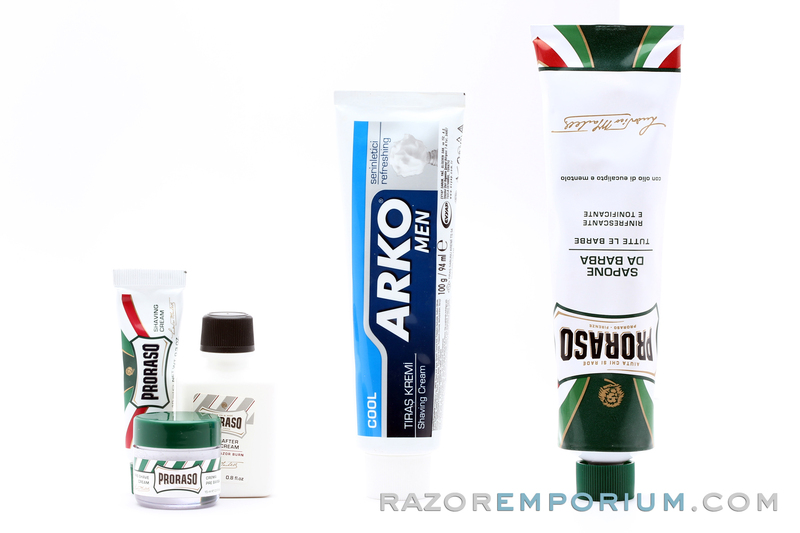 We understand it can be overwhelming seeing so many varieties of shaving supplies out there. That is why we have gathered the perfect shave kit made for those who may be new or returning to the world of wet shaving or upgrading from a safety razor. 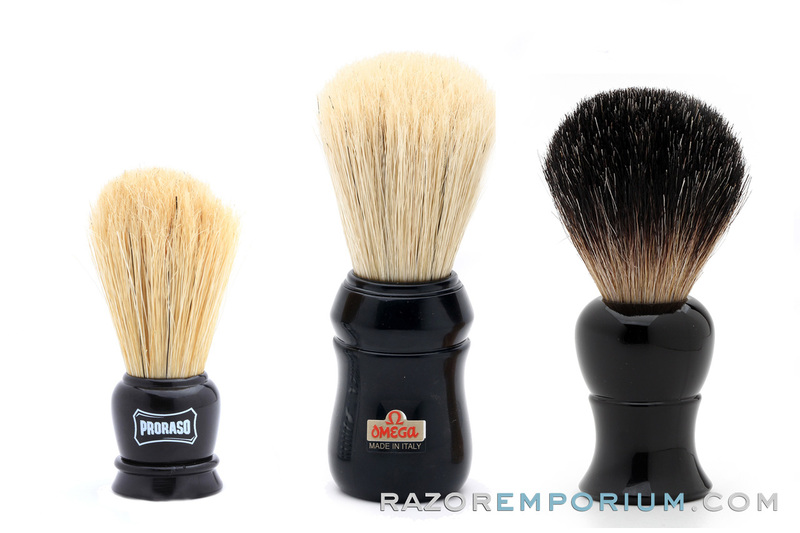 Wet shaving is the answer to so many struggling with the high cost of cartridge razors, or the cheap painful shaves from shaver clubs like dollar shave club. is that advertised as shave ready right out the box. my first shave with was very uncomfortable it pulled and tugged at my beard hairs. but after a little while on the strop it was usable. Don’t believe I received the Gold Dollar razor, and definitely not shave ready. Visible rust on the razor and nicks in the edge when looking through 10X loupe. I ordered my DE starter kit from Razor Emporium and wanted to give a straight razor a try. Because I had most of the items already (bowl, soap, brush, etc), I decided on the Give It A Try kit. Matt was kind enough to swap out one of the items because I already had one of them. Great Customer Service on his part! I've only used the razor a few times on the weekend, but I was very pleased with the razor. I can assure you that mine came shave ready. Was a little disappointed in the handle of the blade, not as solid as I had hoped and the blade itself had grinder marks up and down the bottom edge. The holder falls short seeing as the blade falls out regularly sometimes opening as it does. I was hoping for one the closed loops with a small heel holder that keeps it in place and not sliding on my counter. Also a sample of the pre/post woild have been nice as well.The brush was nice in their defense. I bought the “give it a try” set. I am impressed with the quality I received. The razor is nice, the samples are great. I went ahead and ordered a full tube of cream, and razor emporium actually called to let me know it was out of stock and let me substitute. I definitely recommend this kit! For someone who wants to get into straight shaving this is good introduction to it, the pre lather , shaving balm and after shave cream all complement each other and your skin very well. The only thing is my straight razor didn't come shave ready and I had to strop it but other than that great kit. As previously stated, thoroughly enjoyed my first shave with a straight razor and after not knowing where to go or what to buy I am thoroughly satisfied with my purchase from Razor Emporium! The "Most Recommended" kit has everything you will need to get you cutting those whiskers with that straight razor. The kit comes with quality products and a in house crafted strop that gets the job done. Safety Razor Beginner Wet Shave Kit - Options For Every Budget!